This popular Westside Sports Bar with Live Entertainment venue (billiards, video games, live music, DJ s) boasts a large assembly line full kitchen and which has been one of the area s top venues for years. The facility its offers patrons a state of the art audio and video system (over 30 TV s), professional disc jockey booth, large outdoor patio, and 275 person occupancy (no dance permitted). The enormous kitchen has plenty of storage including walk in coolers and a nearly 40 foot hood. 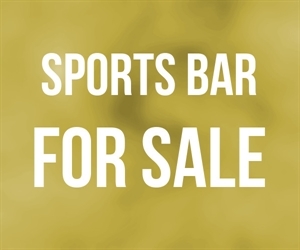 The sale includes a Type 47 Liquor License with no restrictions that permits service from 6am 2am daily, a rare entitlement for this size a location. Location and Facilities: This nearly 8,000 square foot venue offers a one-of-a-kind entertainment experience. All of the business s furniture, fixtures, equipment, goodwill, lease rights, and permits, etc. are fully owned and will transfer in the sale. The 2,000 square foot kitchen is fully equipped and has the ability to accommodate large events and catering opportunities. Other assets include an extensive surveillance system with remote access, a liquor and dry storage rooms, as well as a manager s office. Market Information and Position: While the venue has been a success for years, current management certainly does not push the limits in terms of investing in the type of promotion and entertainment offerings that this venue could accommodate. New owner will likely seek to infuse new energy and ensure the venue is near capacity several nights weekly! A focus on enticing lunch patrons is readily available with heavy daytime demand. There are a finite number of venues of this size that can accommodate this many patrons. There are fewer still that can boast the variety of permits that this venue does allowing for multiple entertainment options. While Competition does exist, this venue has a distinct competitive advantage over other sports bars, lounges or dining and entertainment options. This business s highly visible location with easy access further solidifies its distinct advantage, making it that much more sustainable.